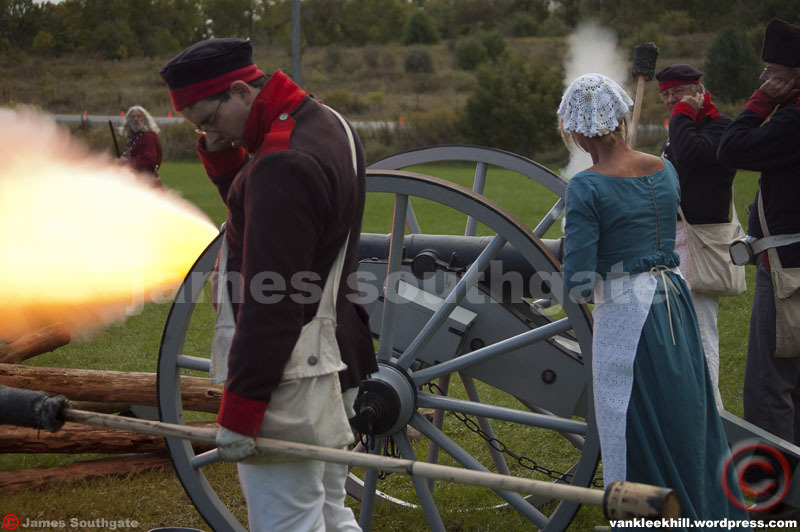 Taken September 22, 2013, of the War of 1812 Re-enactment (we won) at the Glengarry Pioneer Museum in Dunvegan, Ontario. Photo taken with a Nikon D40. Exposure: 1/250 @ F4.2 with a 55-200mm set at 66 mm. ISO 400.